​​Let us make your dream designs a reality. Dayton Manufacturing’s team of engineers has the skills it takes to move your project from design through development and successful completion. When you can trust your metal fabricator to offer engineering and prototype assistance, it will keep your costs down while ensuring that your project comes in on time. Many variables affect whether a project will stay within budget, meet the production schedule, and function as needed. Dayton Manufacturing assists you with managing those variables in the prototyping, processing, and engineering phases—so that your idea can be converted to a quality finished product. 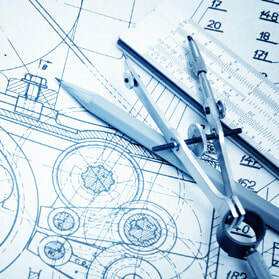 We have a full-time engineering department utilizing advanced technology to ensure design functionality. Dayton Manufacturing’s engineering team uses the latest sheet metal processing software. DMC is able to provide a complete turnkey service for our customers.